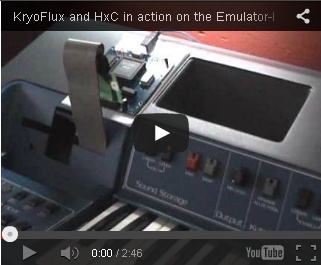 The HxC Floppy Emulators are used in very differents environnements and situations since years now. 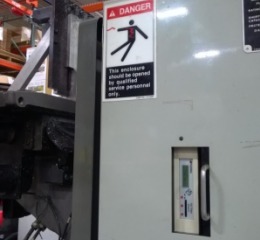 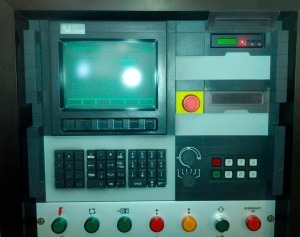 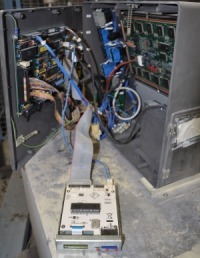 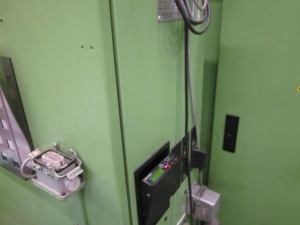 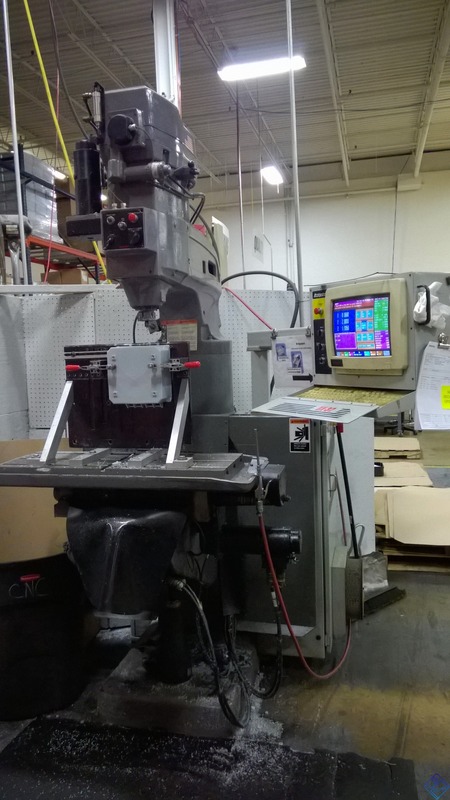 The HxC Floppy Emulator replace the floppy disk drive of lots of industrial machines, keyboards/samplers and old computers. 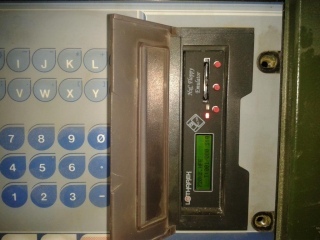 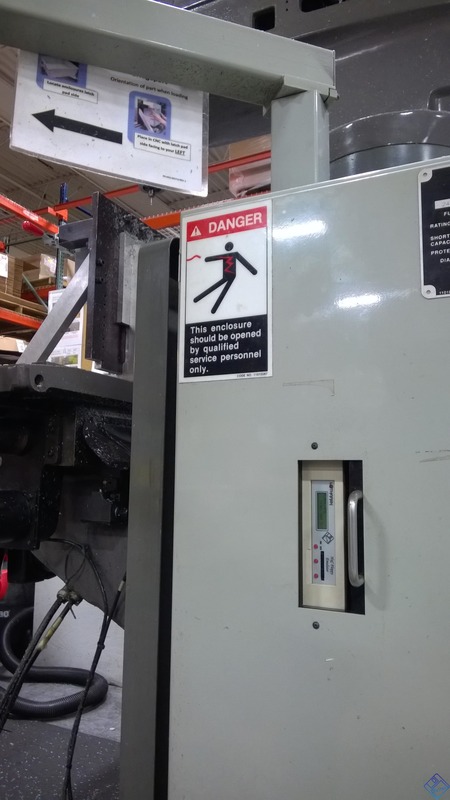 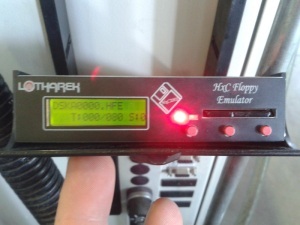 The HxC Floppy Emulators are used by many professionals and industrial companies. 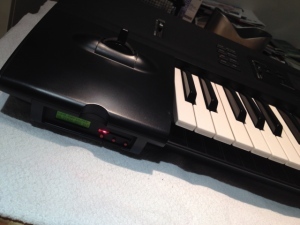 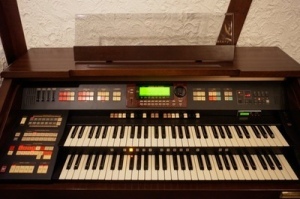 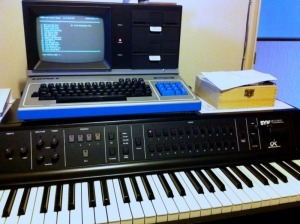 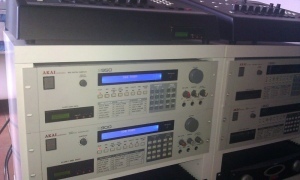 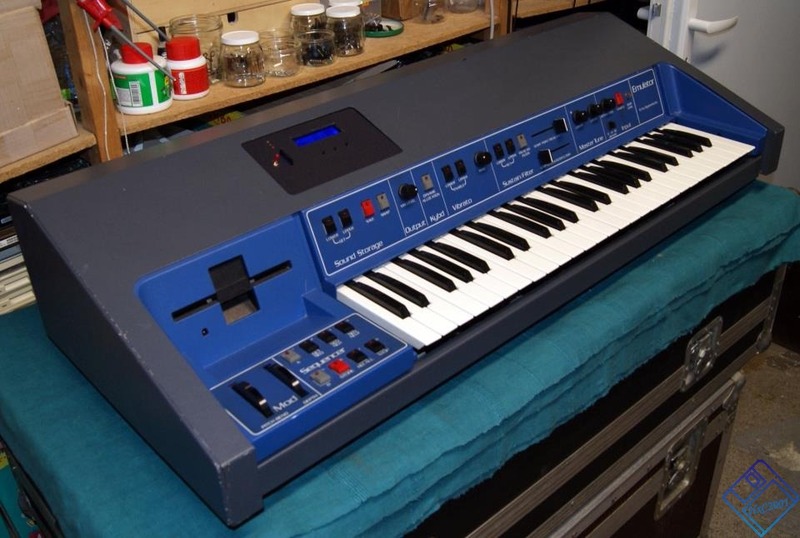 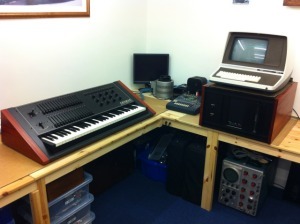 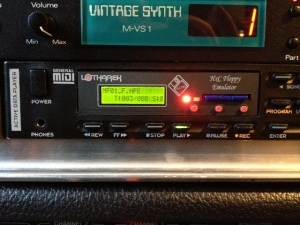 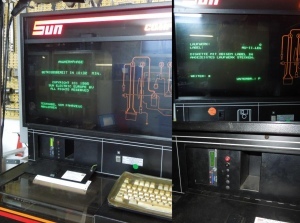 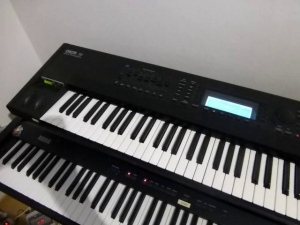 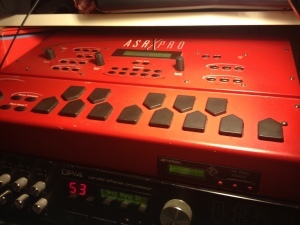 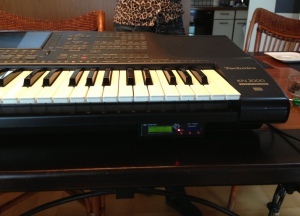 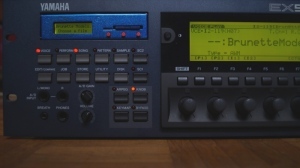 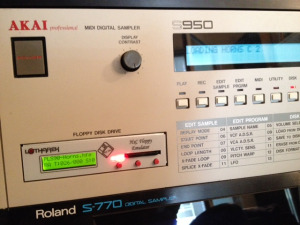 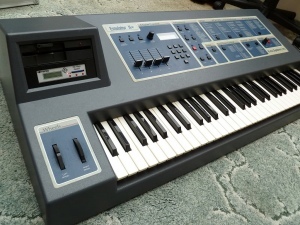 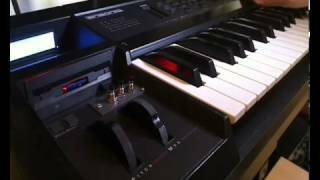 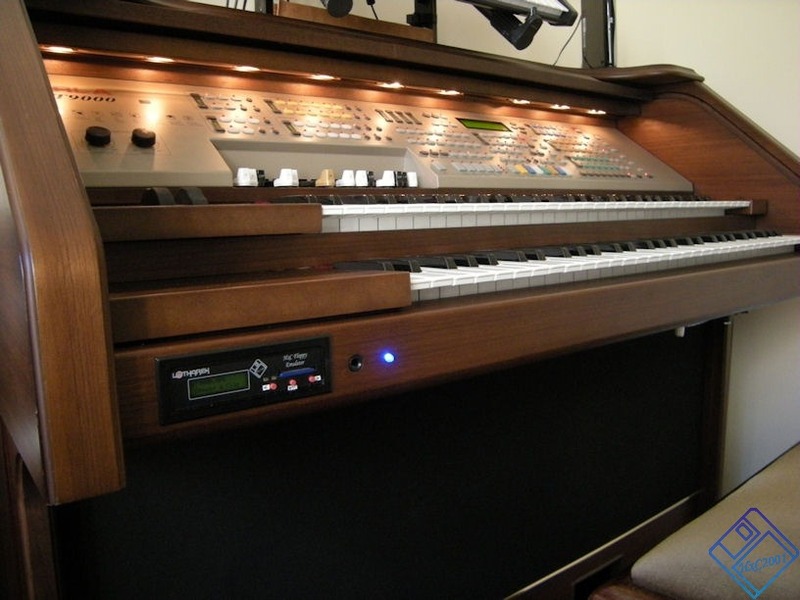 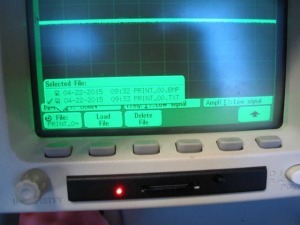 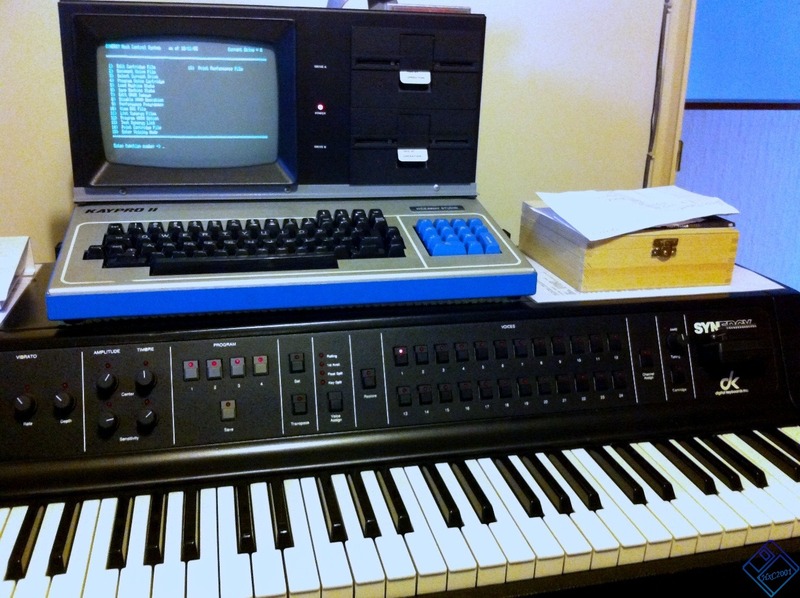 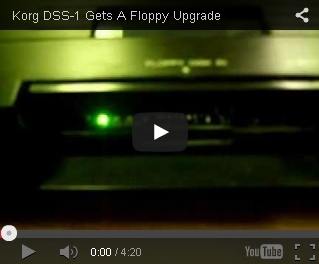 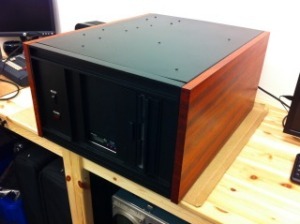 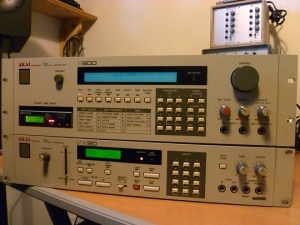 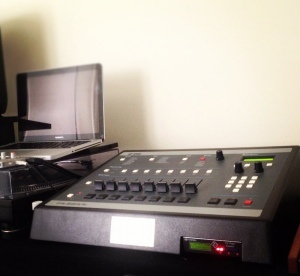 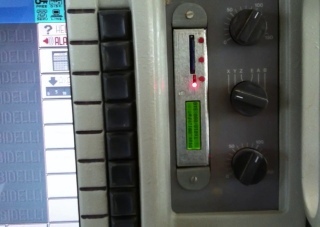 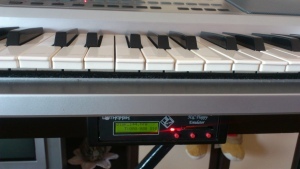 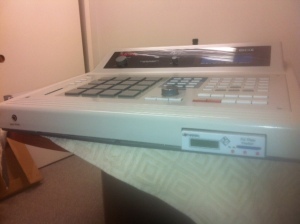 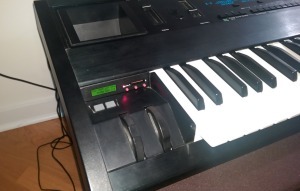 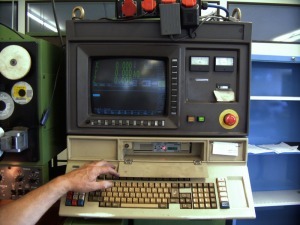 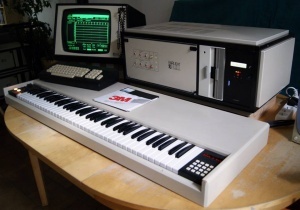 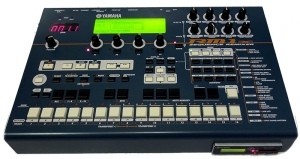 01/07/2011 : BURNCARS : Korg DSS-1 Gets New/Cheap Floppy Alternative: Now in SD! 04/18/2011 : Retro Computers : Another satisfied HxC floppy emulator user! 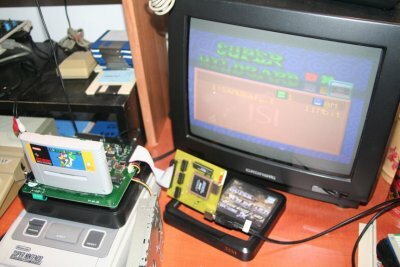 Video demonstration of the SDCard based HxC Floppy Emulator on Atari STE. 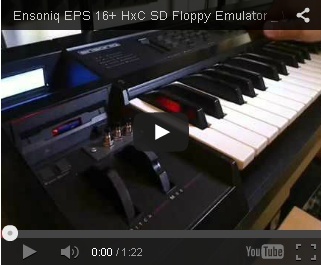 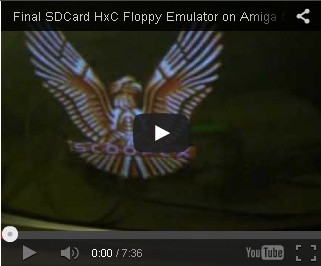 Video demonstration of the SDCard based HxC Floppy Emulator on Amiga. 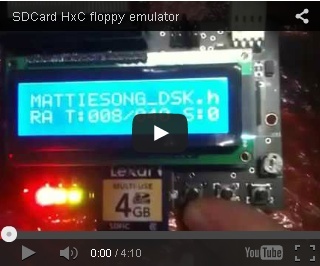 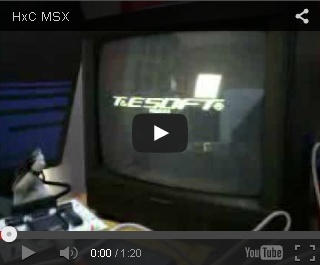 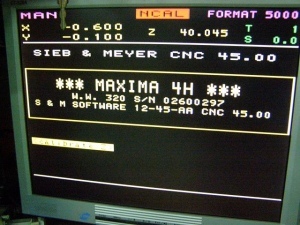 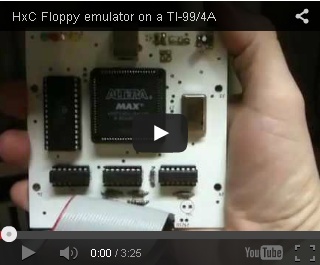 Video demonstration of the SDCard based HxC Floppy Emulator on Amstrad CPC. 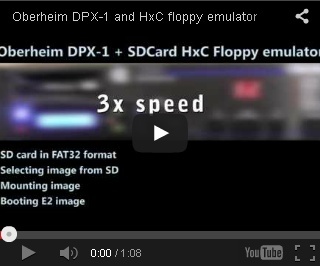 Video demonstration of the SDCard based HxC Floppy Emulator image manager on Atari STE. 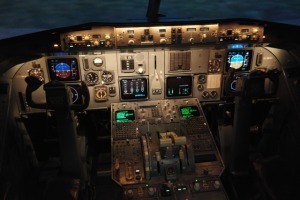 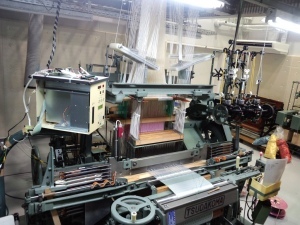 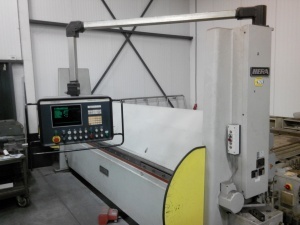 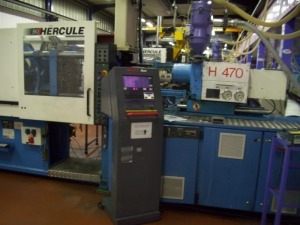 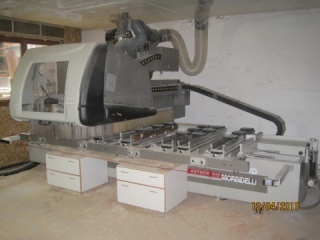 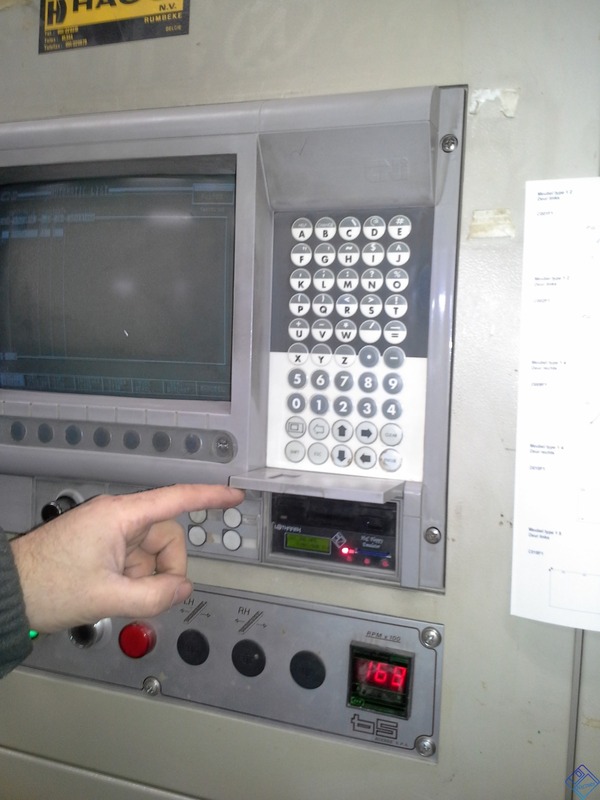 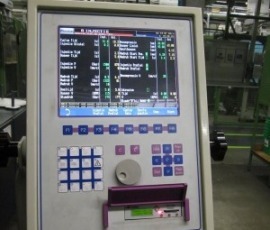 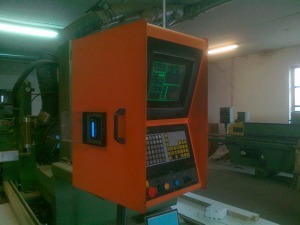 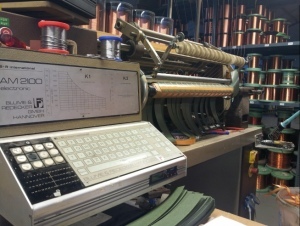 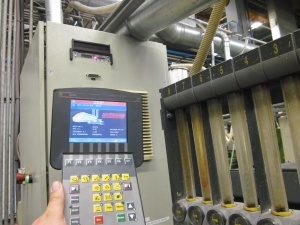 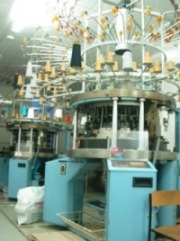 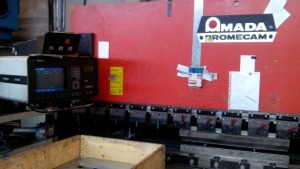 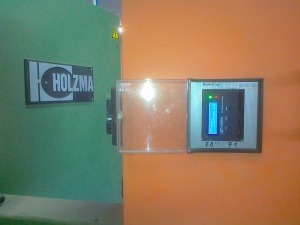 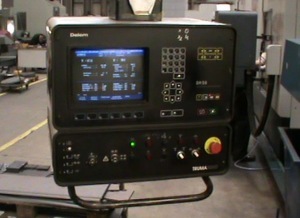 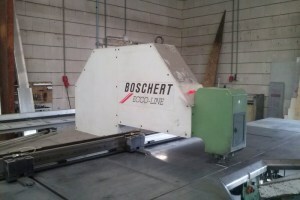 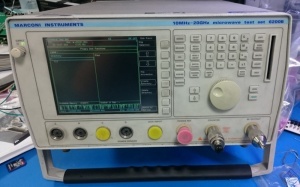 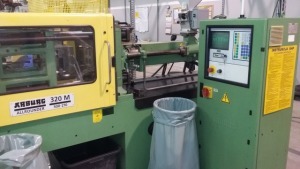 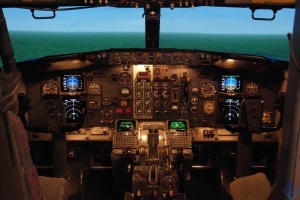 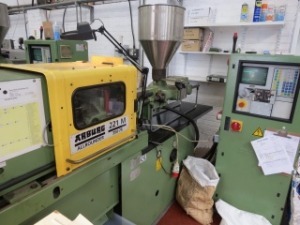 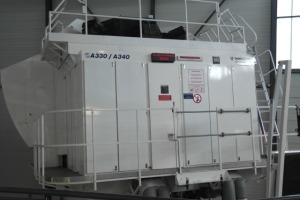 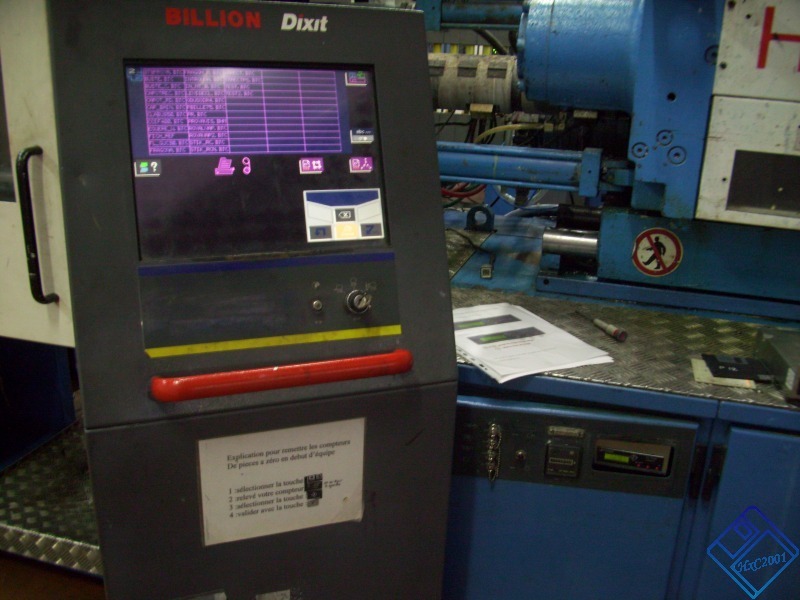 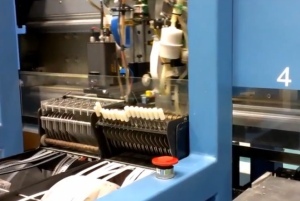 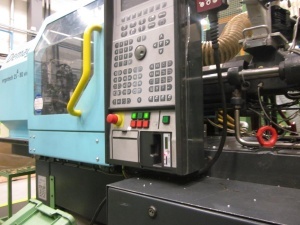 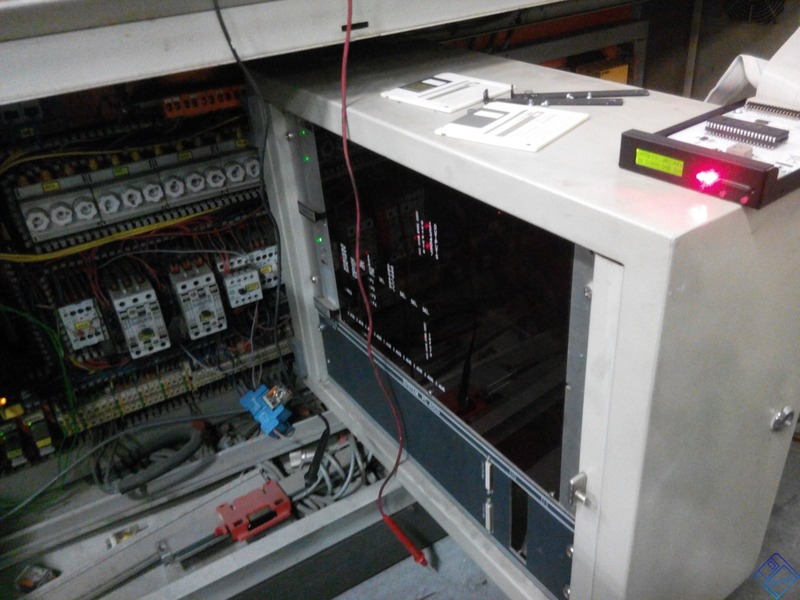 Since 2010 the product is manufactured and sold by Lotharek (FHU Krawczyk Przemyslaw). 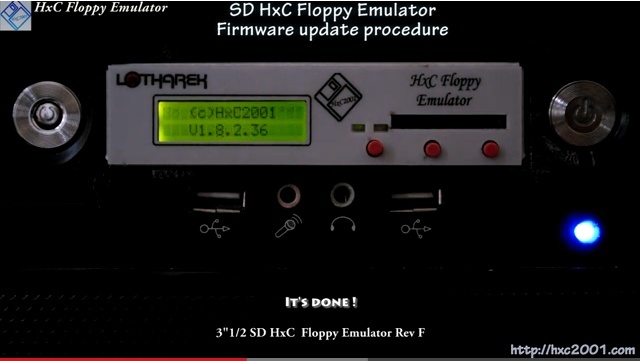 The prototype hardware & software was reviewed and corrected to make the actual SD HxC Floppy Emulator. 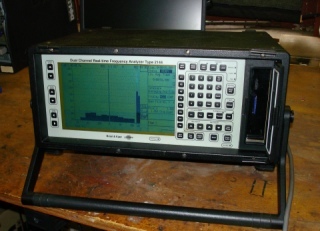 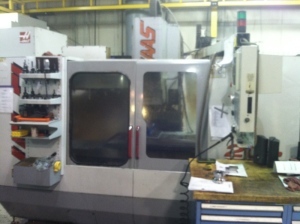 Since this time differents form factor and design variants was studied and released. 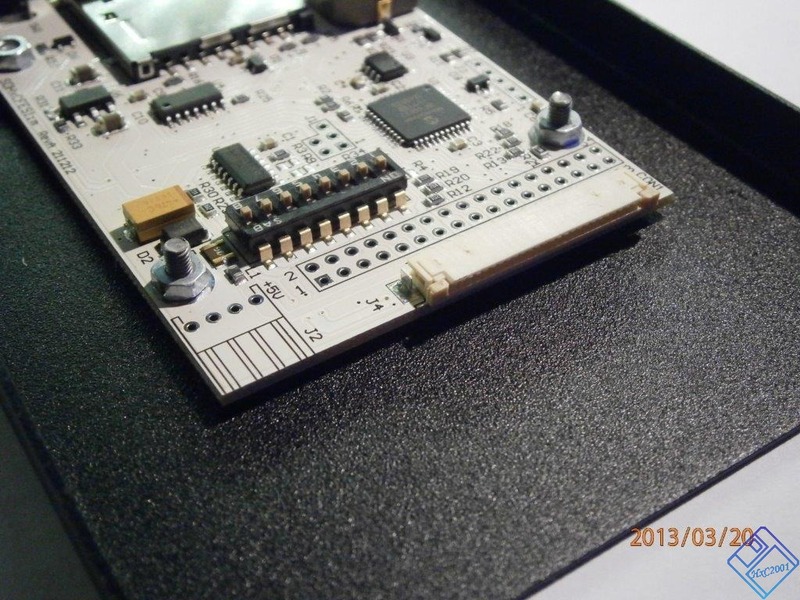 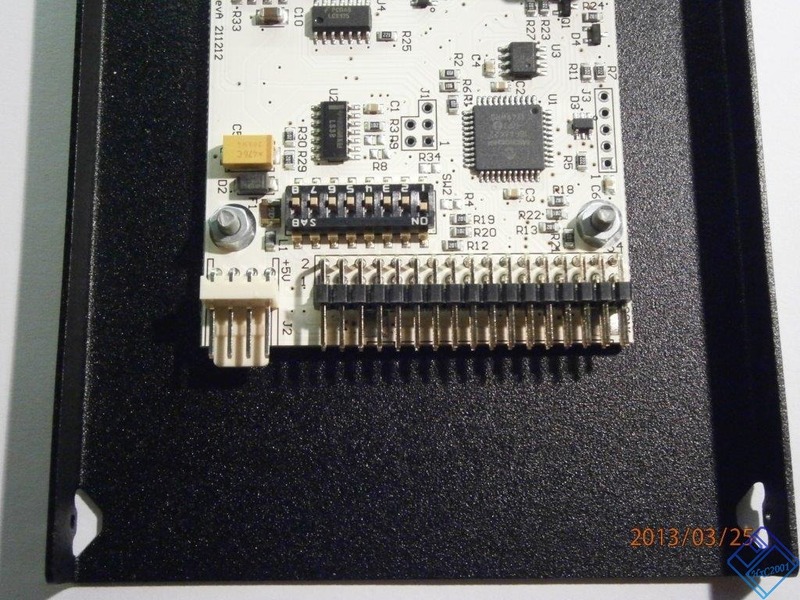 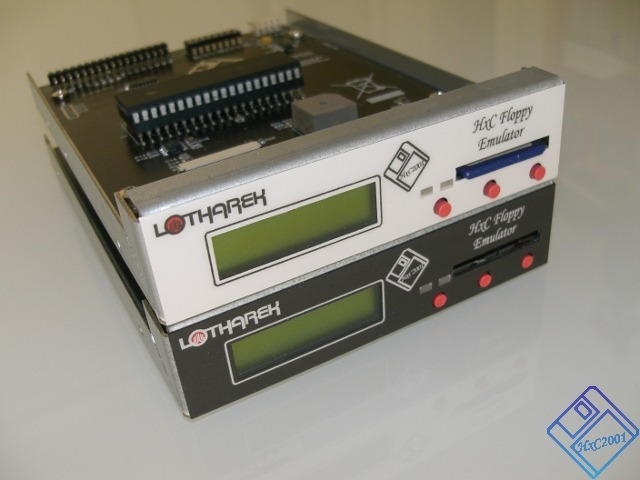 2013: The new 3"1/2 form factor Slim SD HxC Floppy Emulator is available ! 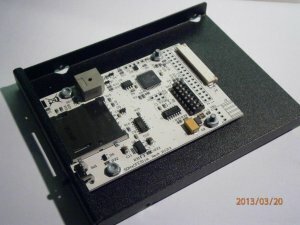 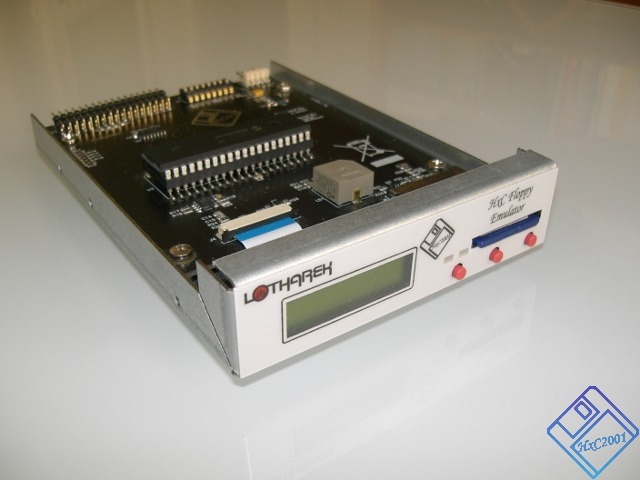 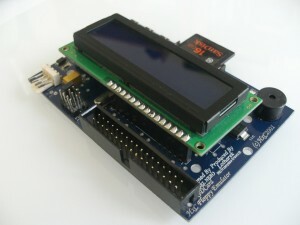 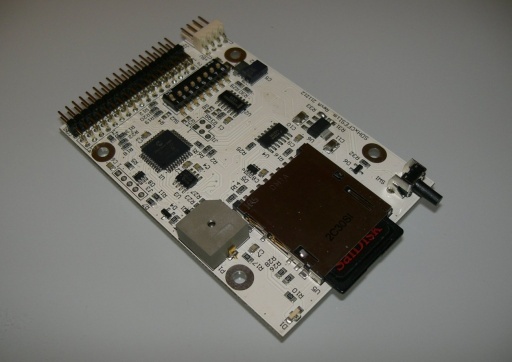 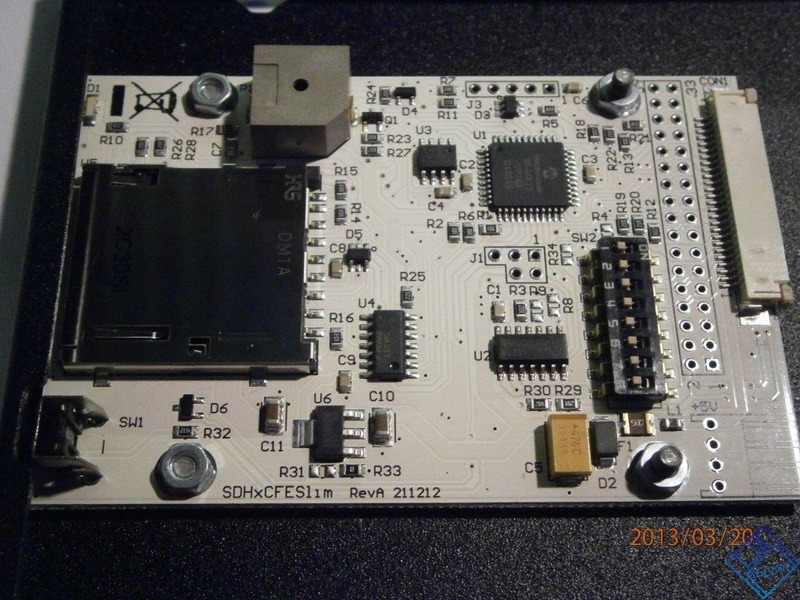 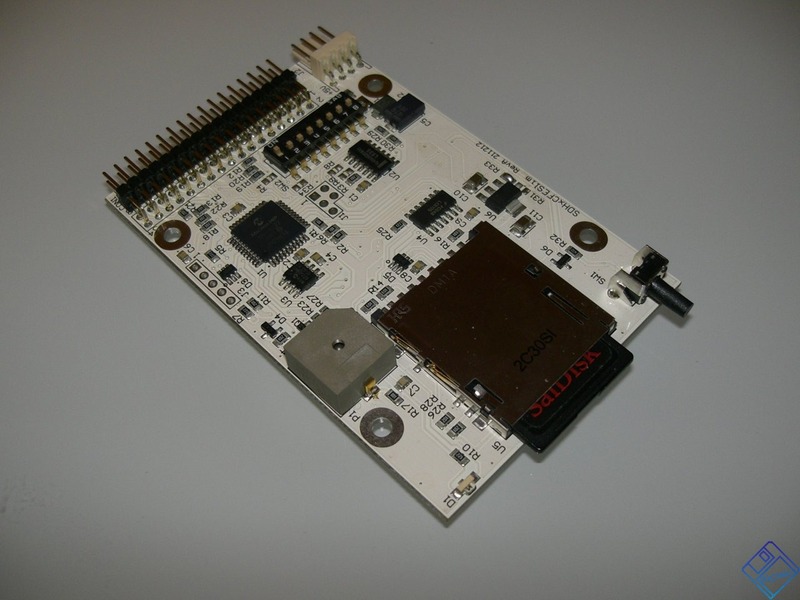 2012: The 3"1/2 form factor SD HxC Floppy Emulator is available ! 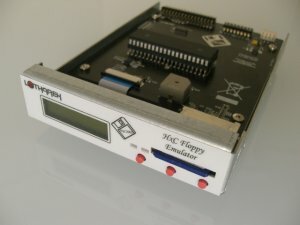 03/10/2010: The SD HxC Floppy Emulator is available for sale ! 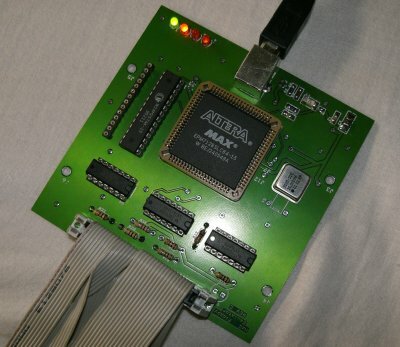 The SDCard HxC Floppy Emulator on Atari STE. 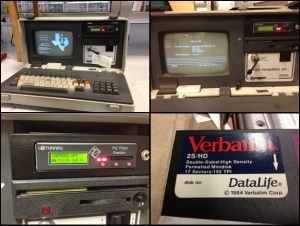 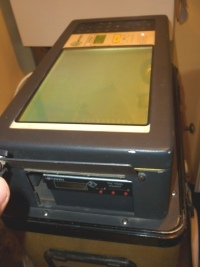 03/10/2010: The SDCard HxC Floppy Emulator is available for sale ! 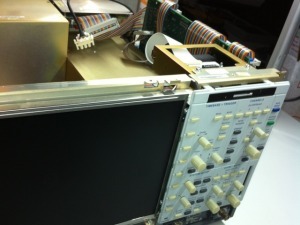 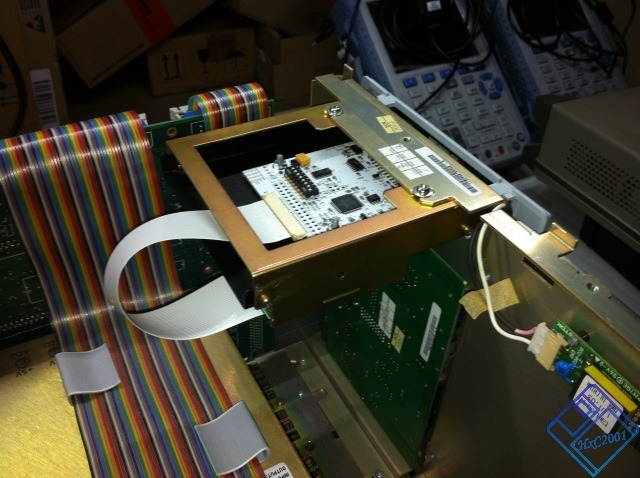 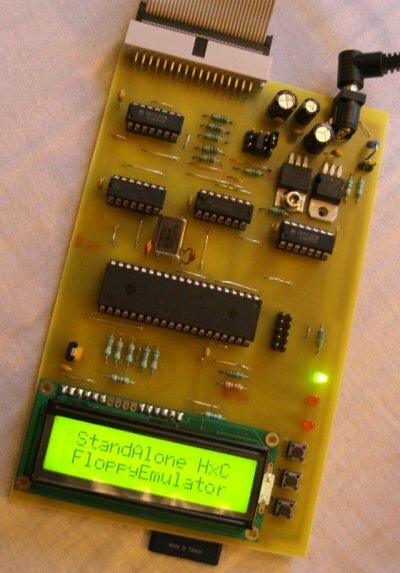 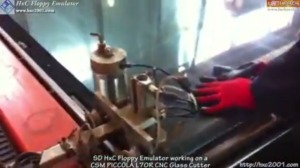 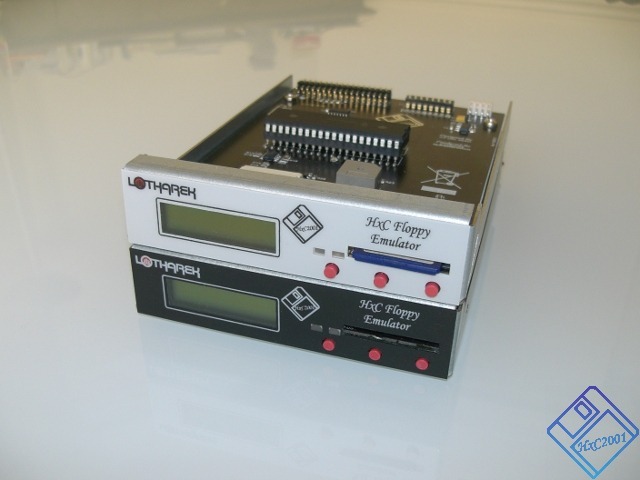 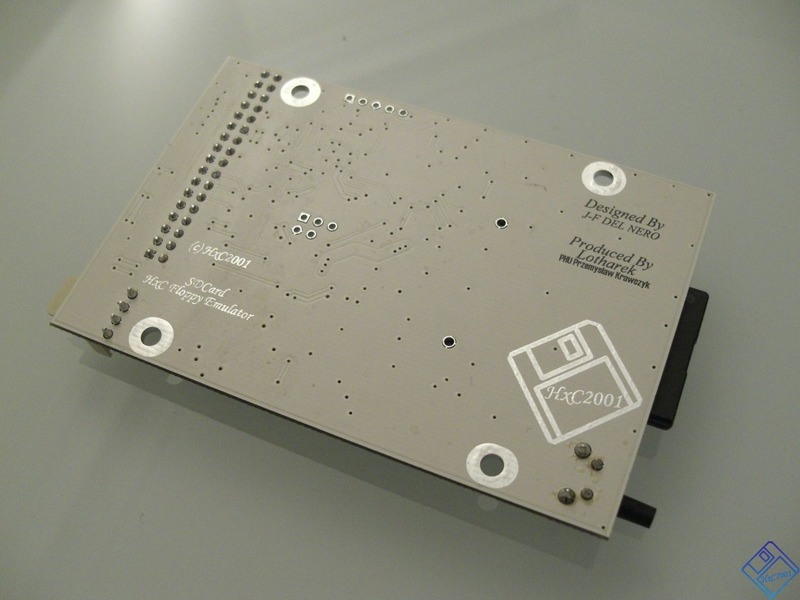 Late 2007 a new direction was taken to make a low cost standalone floppy emulator. 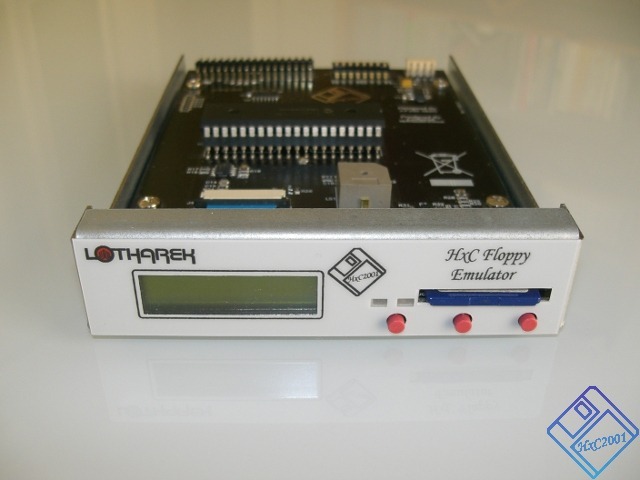 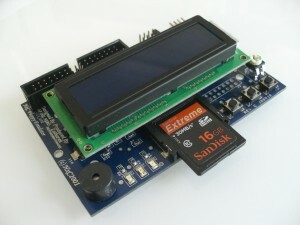 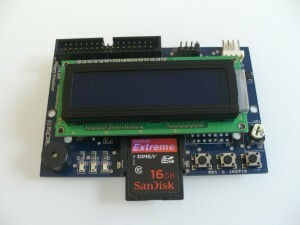 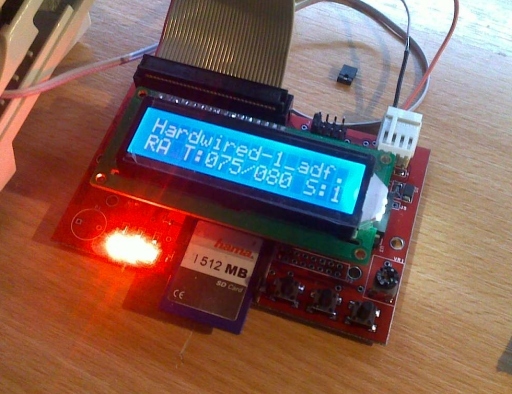 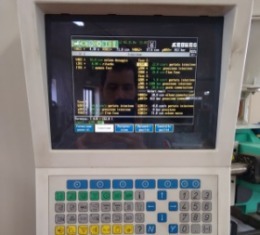 The SDCard HxC Floppy Emulator is mostly based on a low cost PIC18F MCU, an SDCard connector, 3 push buttons, a low cost alphanumerical HD44780 compatible LCD (it will be optional in the future) and some floppy line drivers. 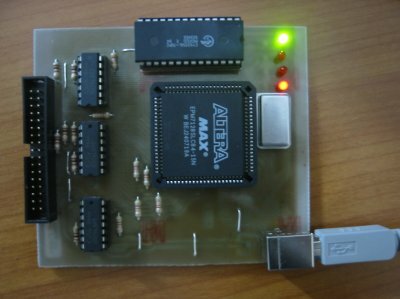 SD HxC Floppy Emulator on Atari STE. 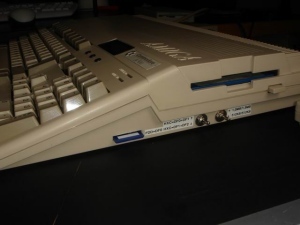 An SD HxC Floppy Emulator in a nice form factor. 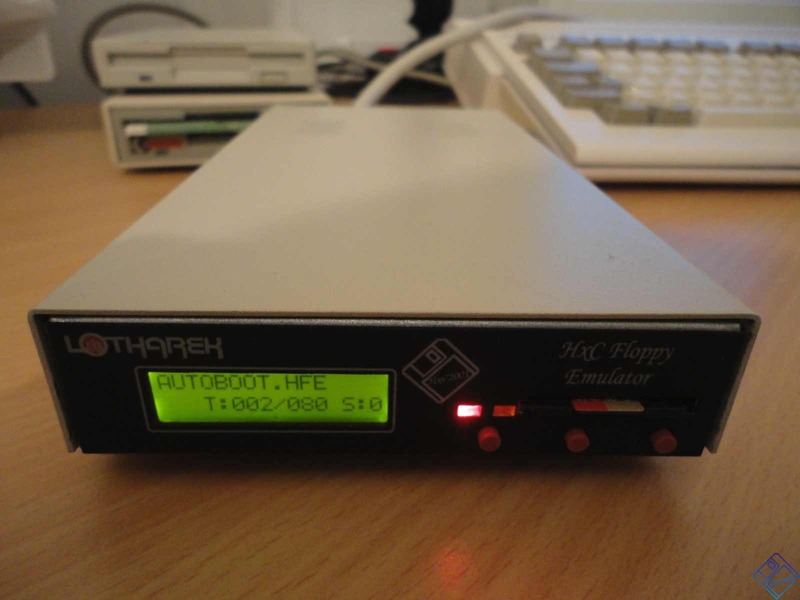 12/22/2007: The SD HxC Floppy Emulator is born ;-). 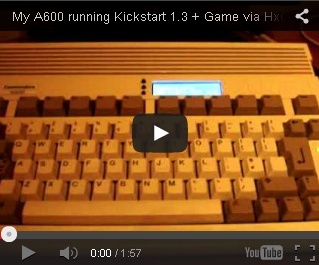 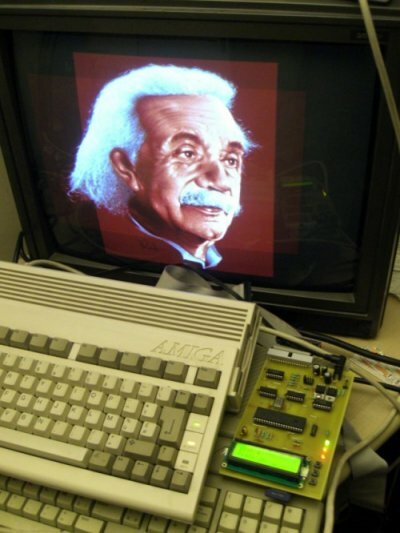 The SD HxC Floppy Emulator on Amiga 600 running the Arte Demo. 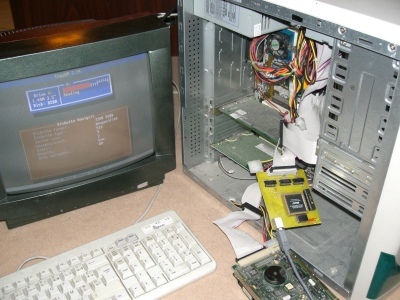 04/05/2007 : Some experimentations in order to make a standalone/sdcard version. 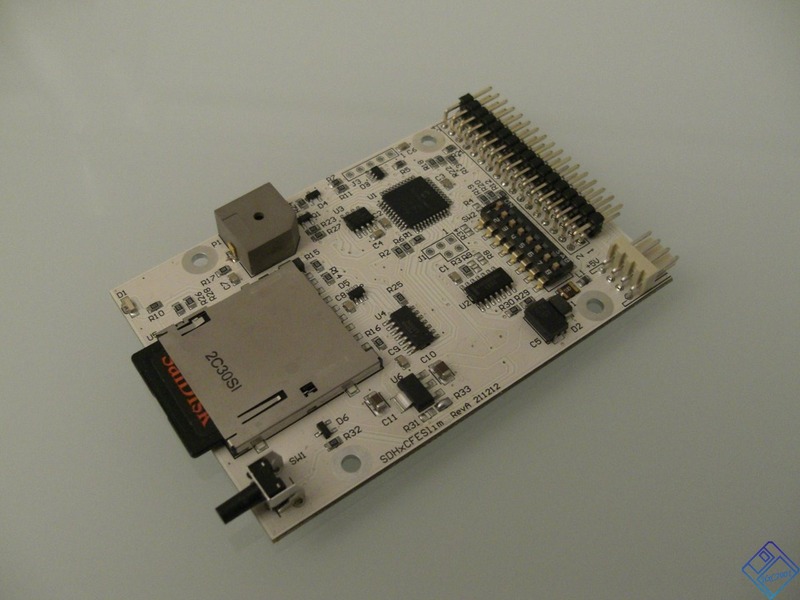 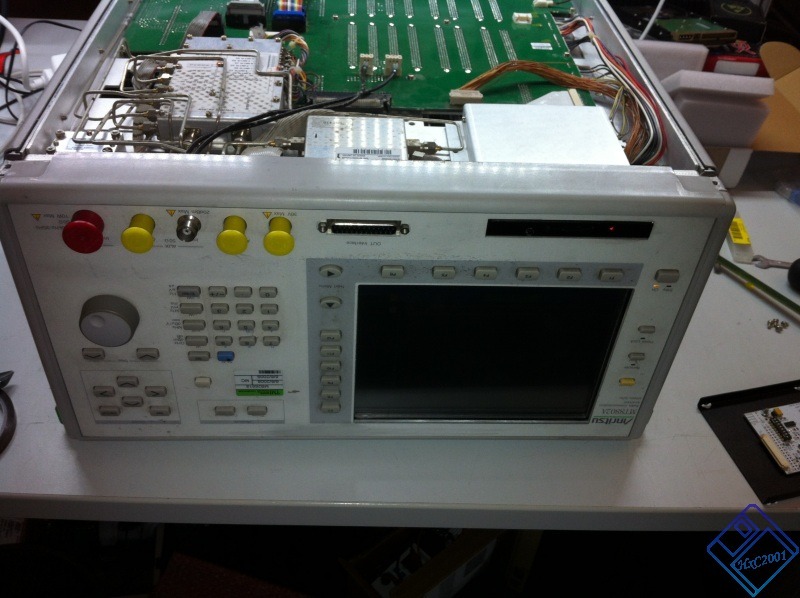 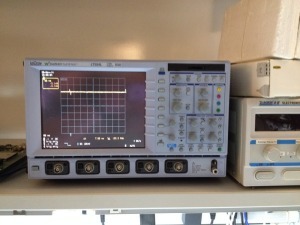 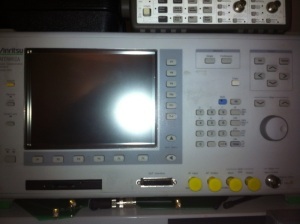 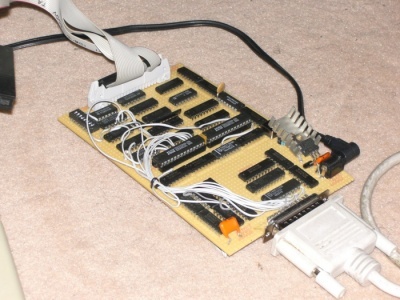 here a working version based on an FPGA. 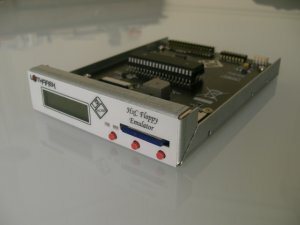 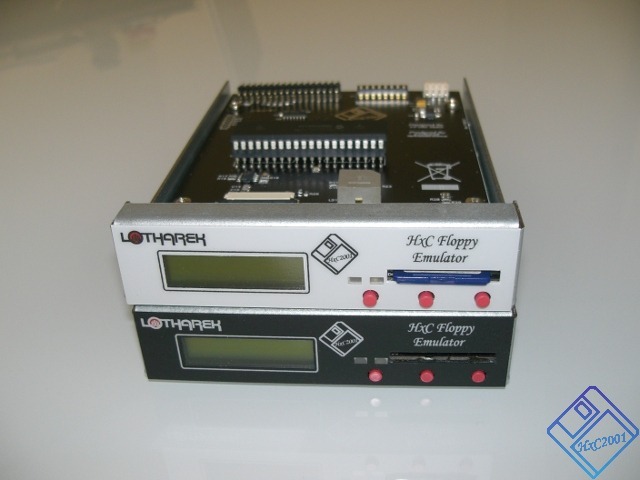 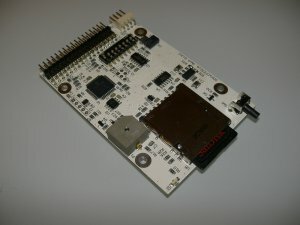 08/29/2007: And here an MCU (LPC2106) based floppy emulator done by Torlus (http://www.torlus.com/index.php?2007/08/29/203-mcu-based-floppy-drive-emulator). 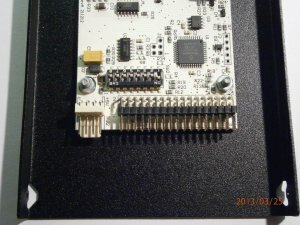 After the first prototype, it is becoming interesting to reduce it and change the parralel port link by a modern USB link. 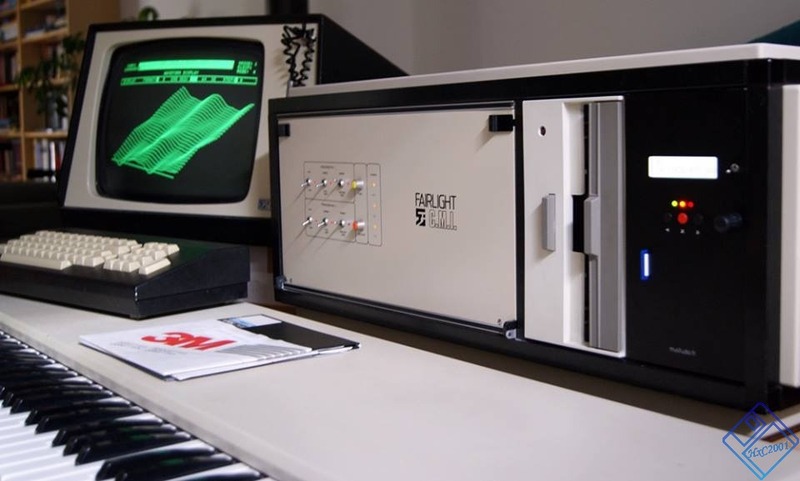 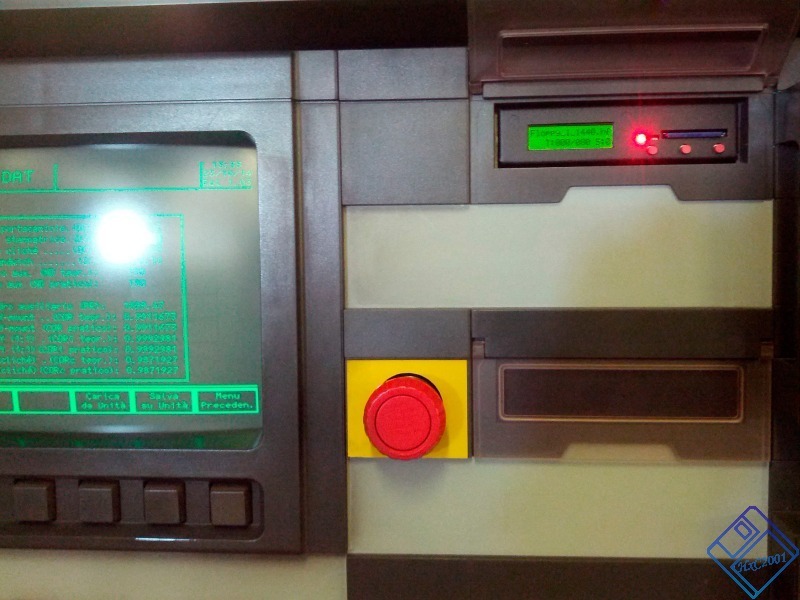 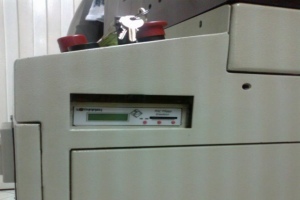 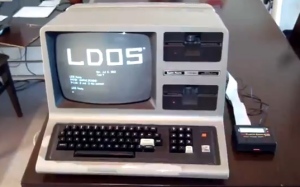 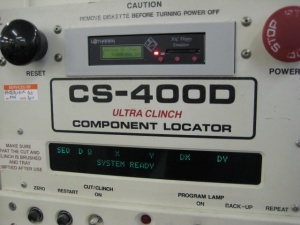 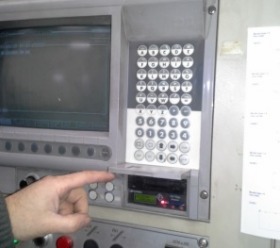 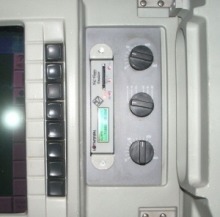 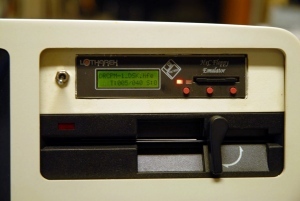 The main idea is kept (use of a PC as a floppy images server) but all TTL logic was put into an CPLD and the parralel port interface was replaced by a USB interface. 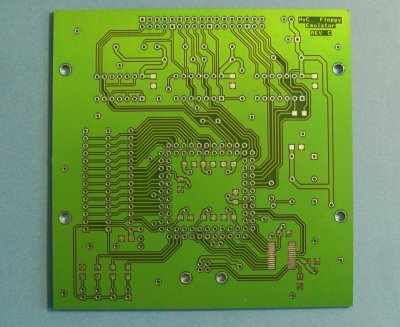 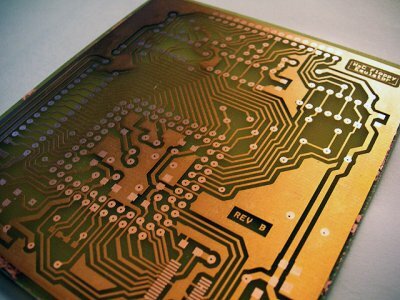 After the first success with this prototype, a single layer PCB (called "homebrew PCB") and later a two side PCB (called "production PCB") was made. 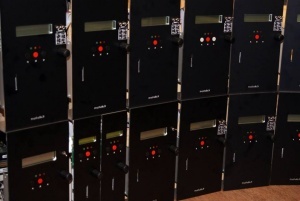 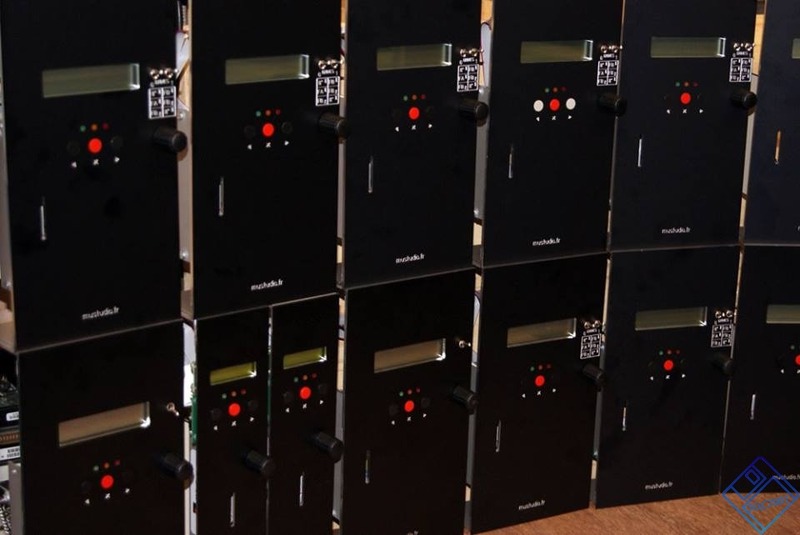 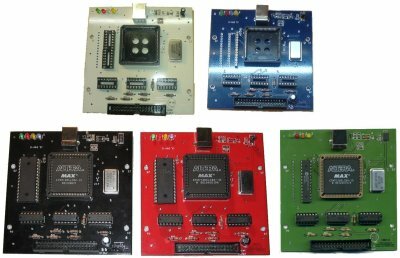 Since the availibilty of the schematic and PCB layout more than one hundred units was made by some people (especially Giants, CrazyIceCap and Petersieg). 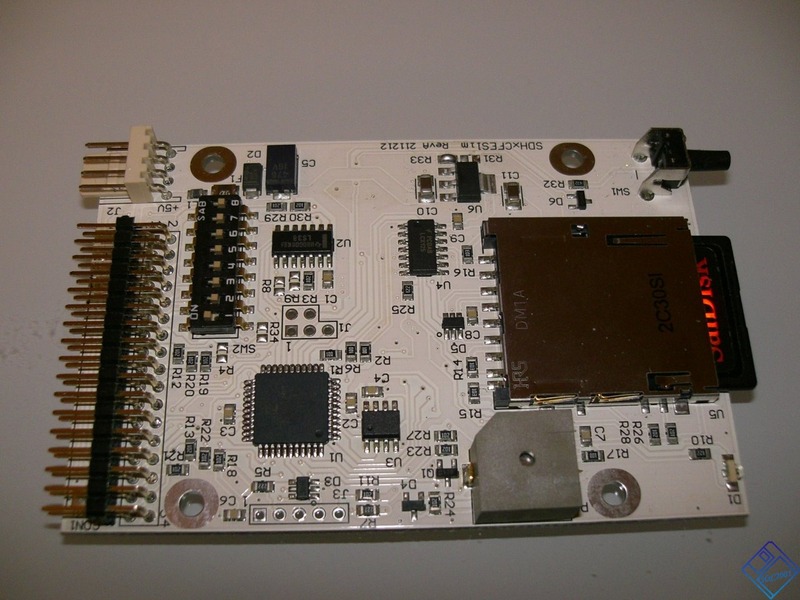 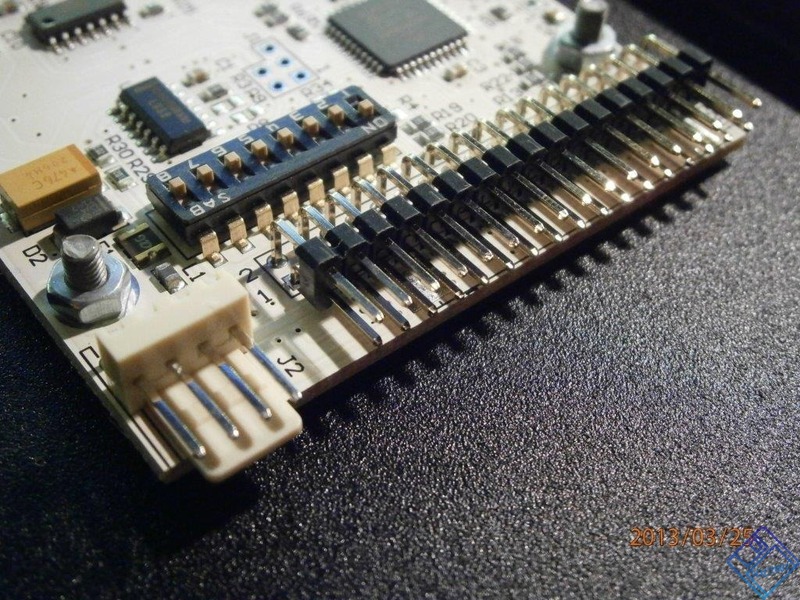 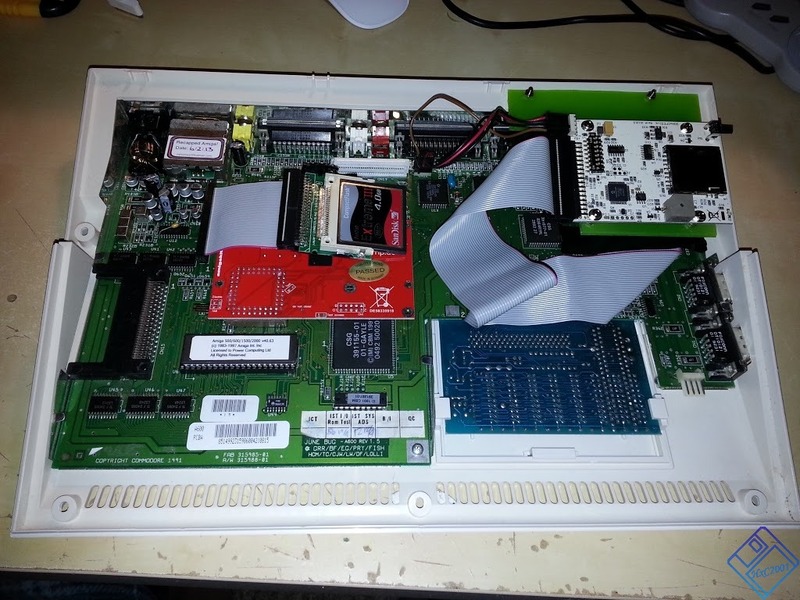 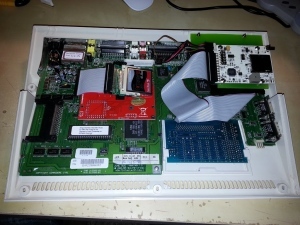 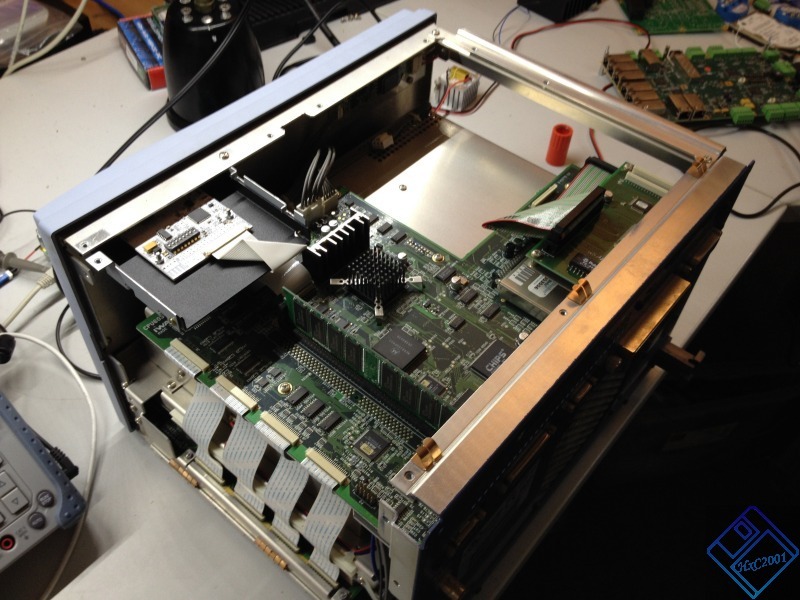 A USB HxC Floppy Emulator inside an Amiga 600. 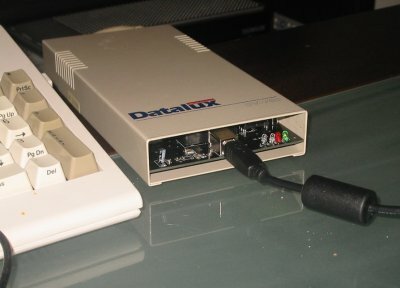 The USB HxC Floppy Emulator as an external drive (hooked to an Amiga 500). 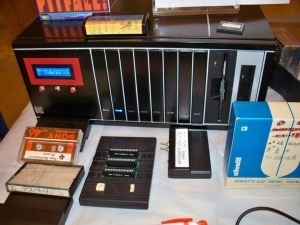 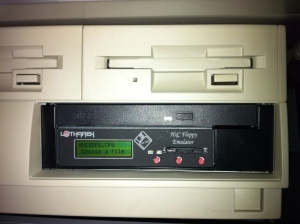 The USB HxC Floppy Emulator was made in different colors. 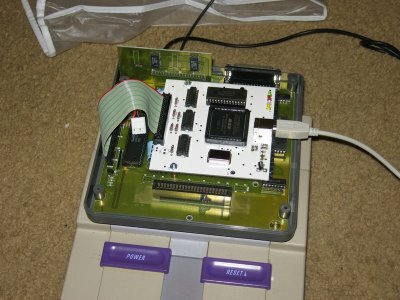 (Snes / Super Famicon cardridge duplicator). 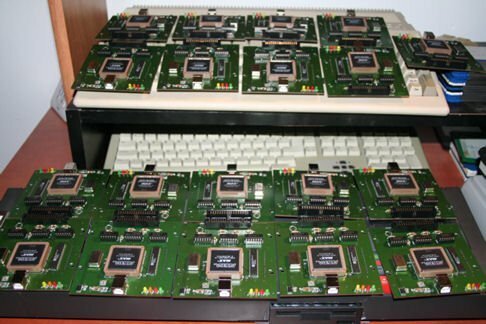 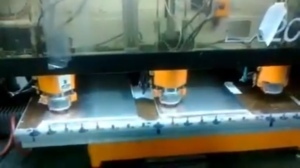 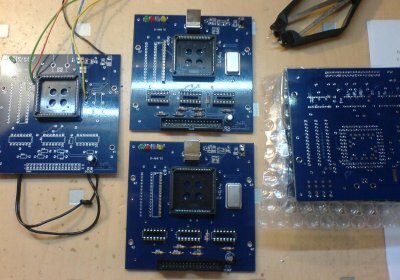 A factory of USB HxC Floppy Emulator ;-). 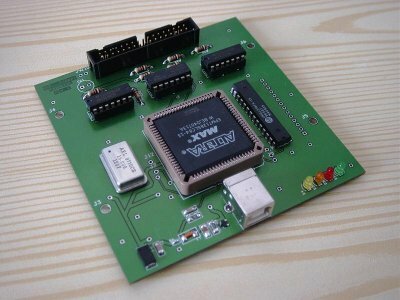 A "production" USB HxC Floppy Emulator PCB. 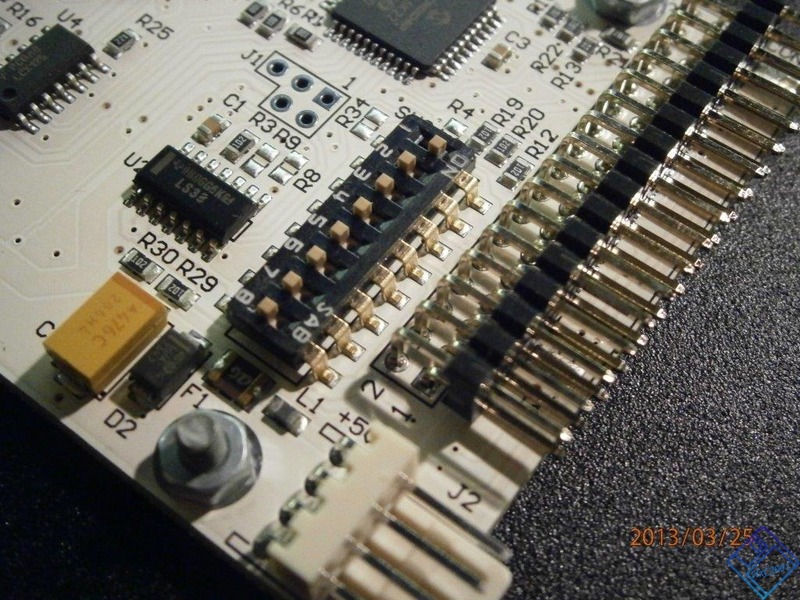 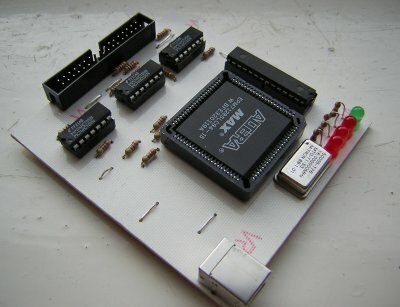 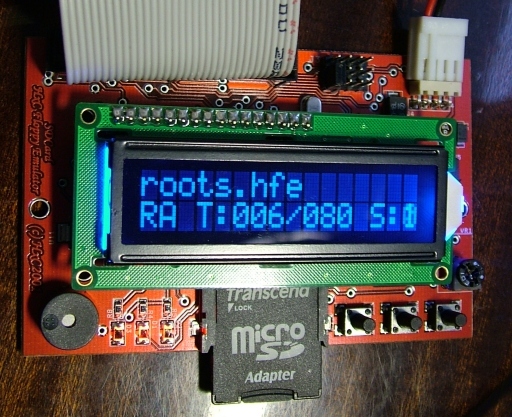 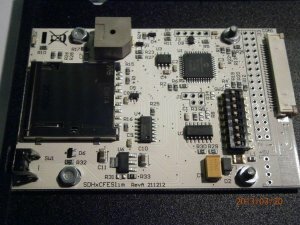 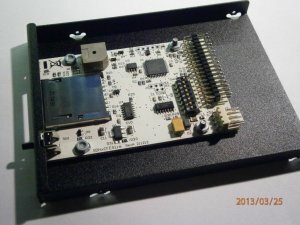 A "homebrew" USB HxC Floppy Emulator PCB. 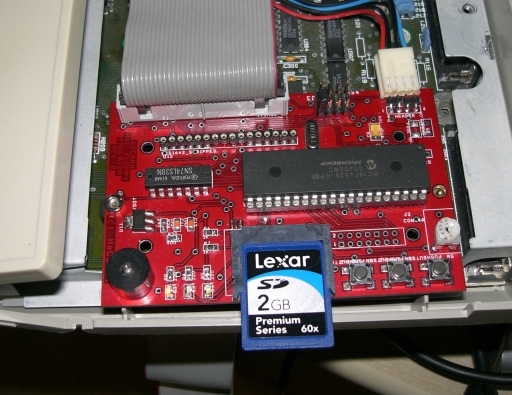 A "production" USB HxC Floppy Emulator. 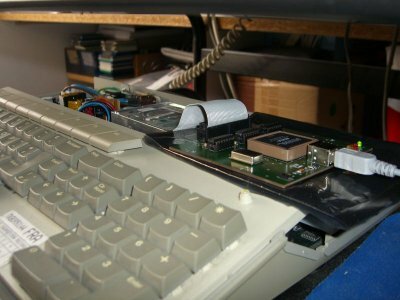 A homebrew USB HxC Floppy Emulator. 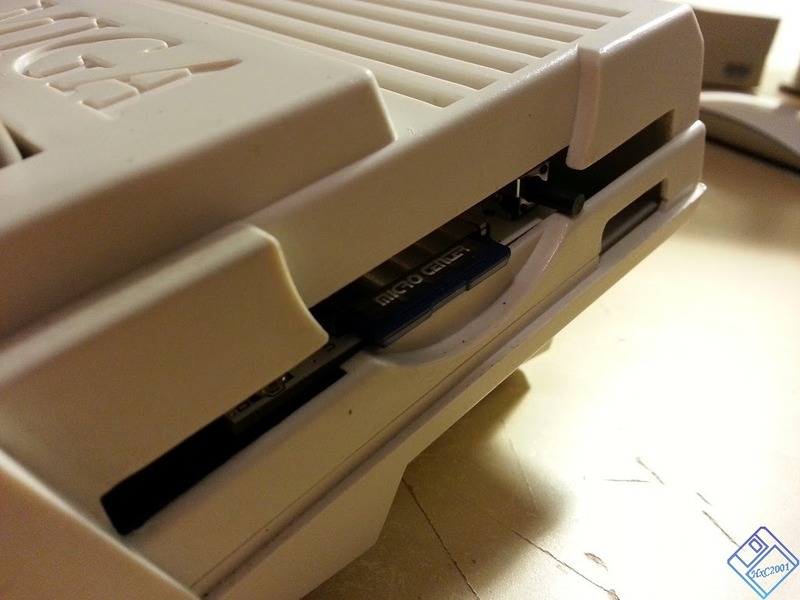 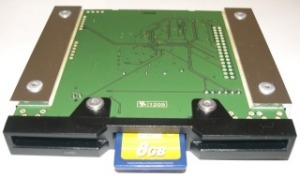 A USB HxC Floppy Emulator on an Atari Falcon. 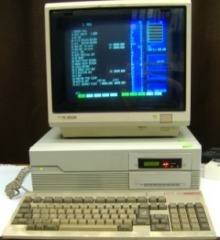 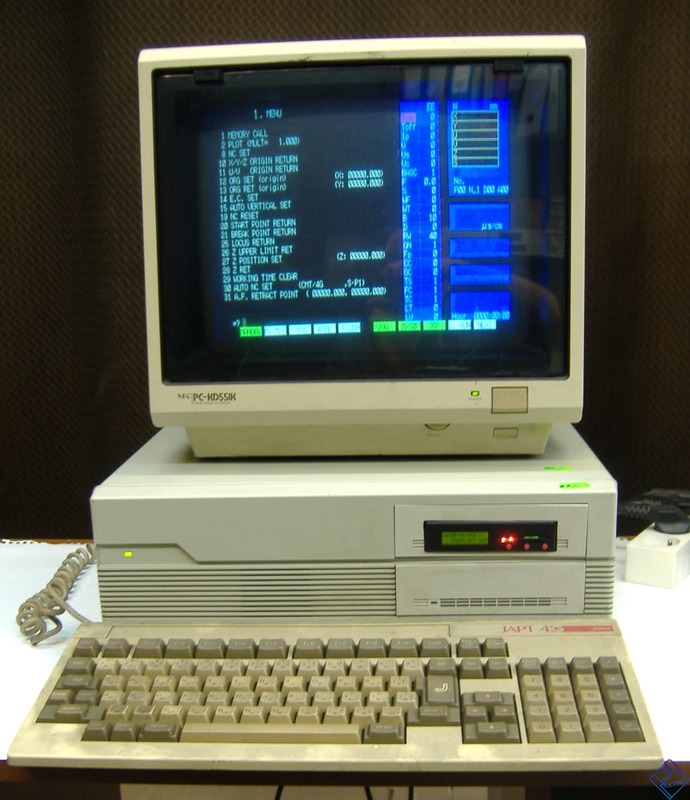 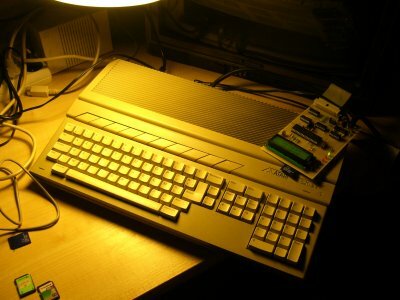 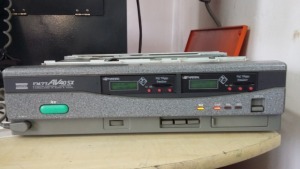 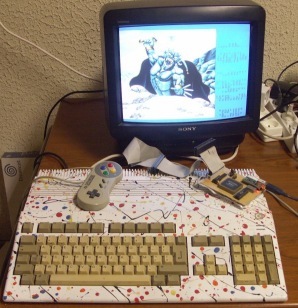 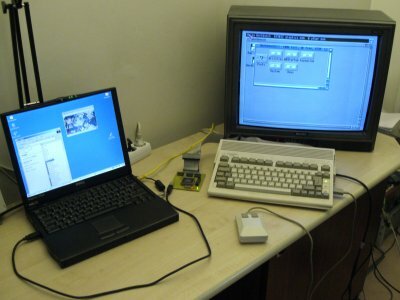 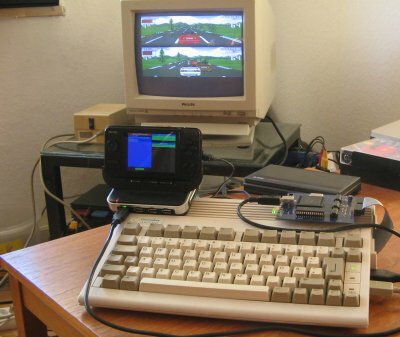 The classic configuration : a floppy image server (the PC laptop), the USB HxC Floppy Emulator board on the middle, and the target computer (Amiga 600 here). 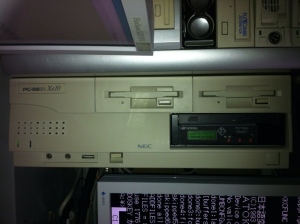 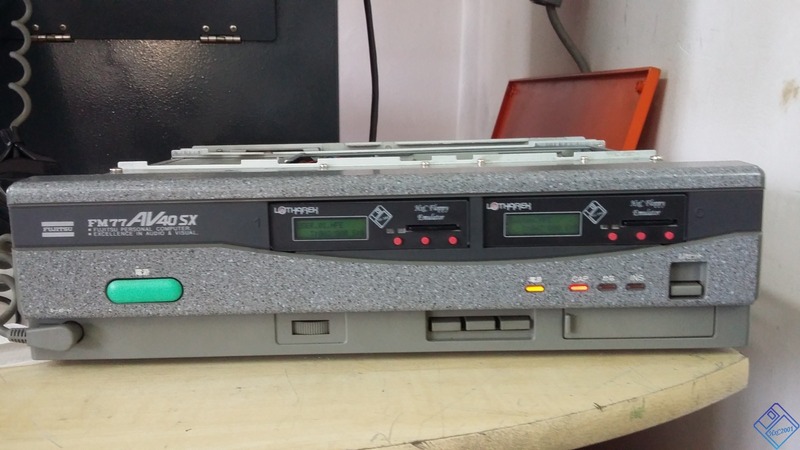 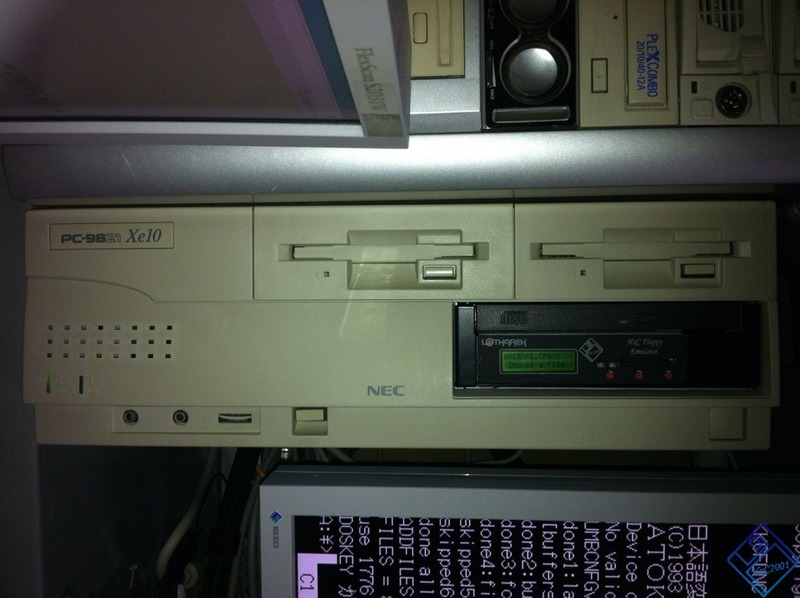 In this configuration the floppy server is a GP2X game system !. 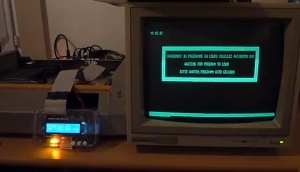 Nice port by Ingo Arndt (scachi). 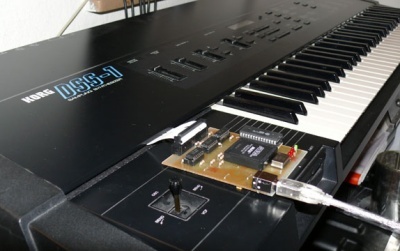 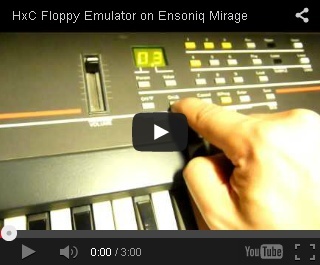 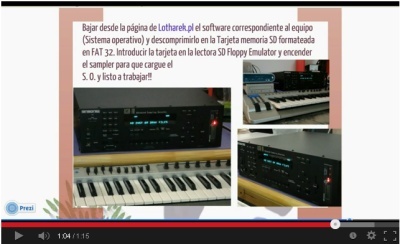 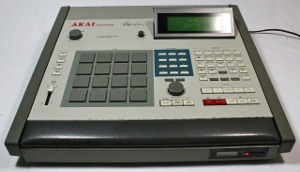 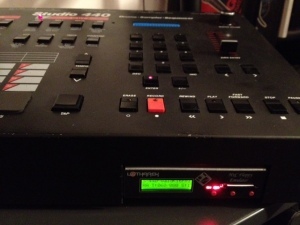 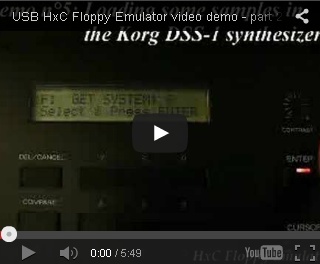 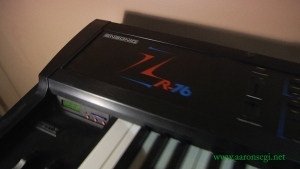 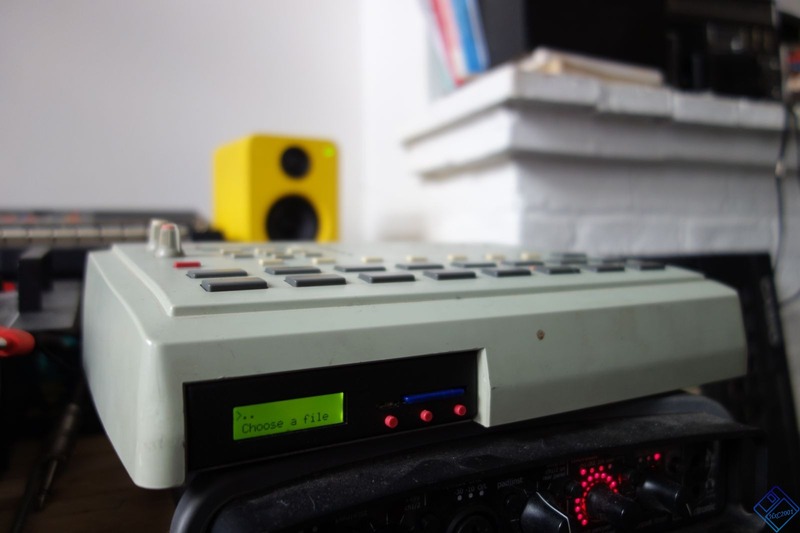 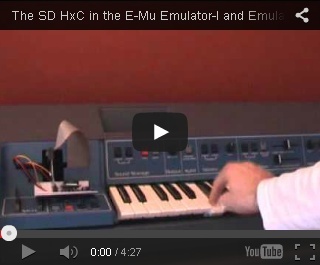 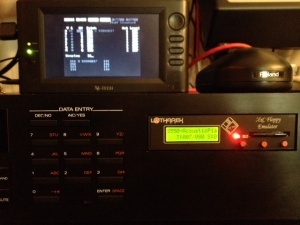 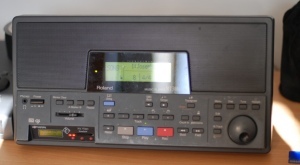 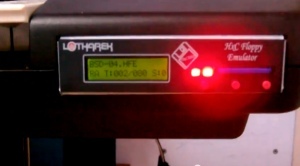 A homebrew USB HxC Floppy Emulator on a Korg DSS 1. 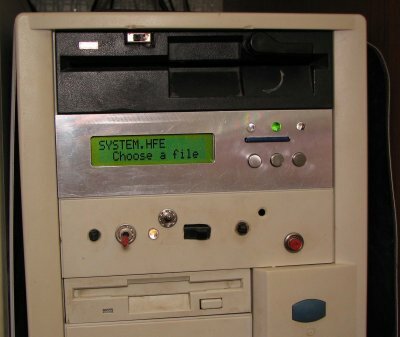 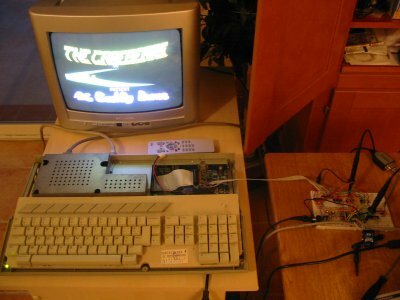 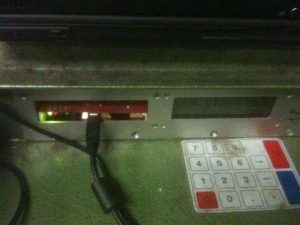 A homebrew USB HxC Floppy Emulator with a standard PC. 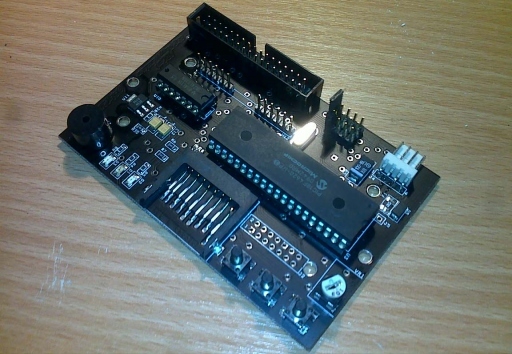 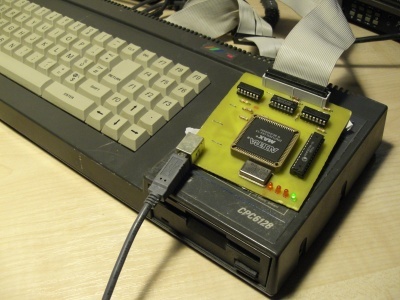 A homebrew USB HxC Floppy Emulator with an CPC6128. 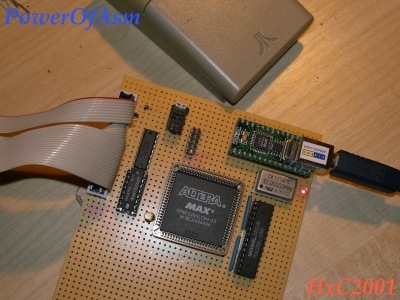 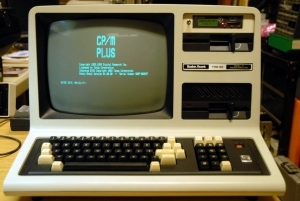 A homebrew USB HxC Floppy Emulator with an CPC6128 running Xenon. 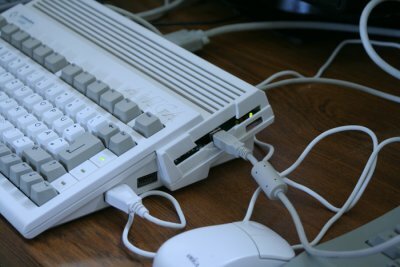 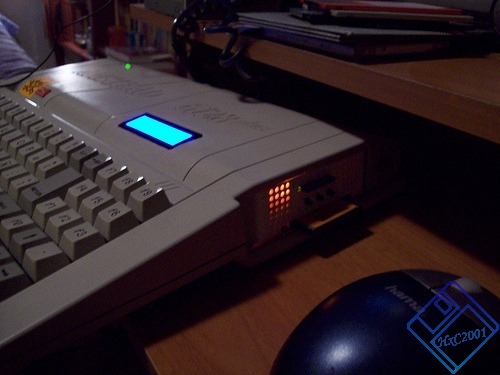 The USB HxC Floppy Emulator prototype with an Amiga 500. 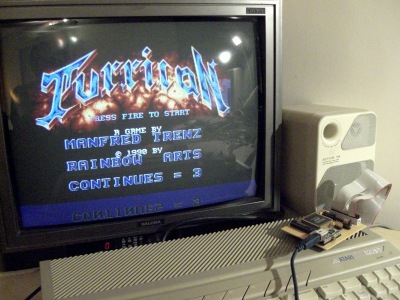 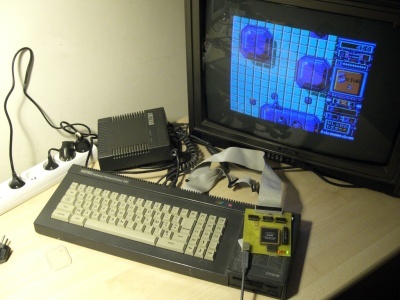 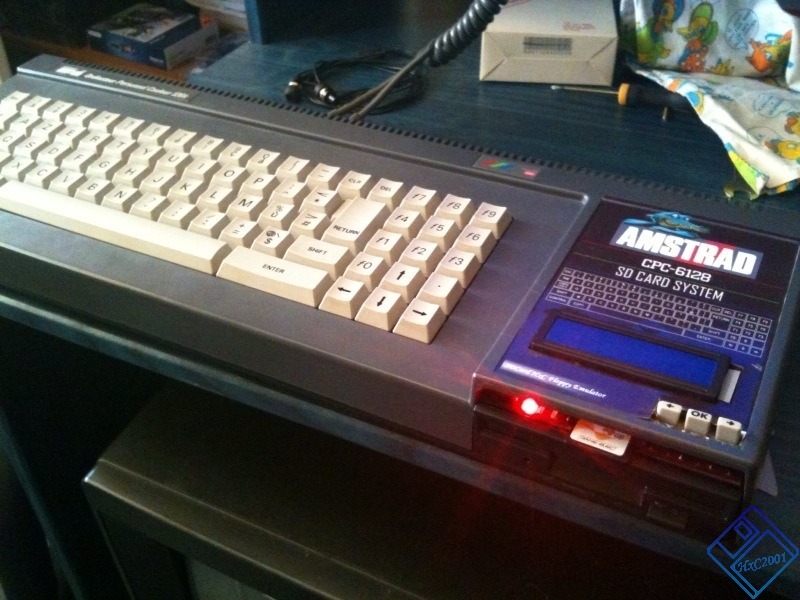 The USB HxC Floppy Emulator prototype with an Atari STE running Turrican . 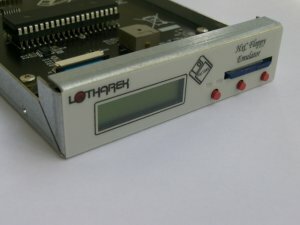 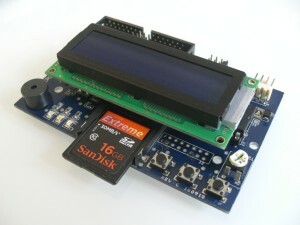 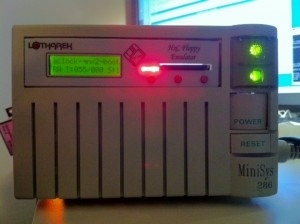 The prototype USB HxC Floppy Emulator. 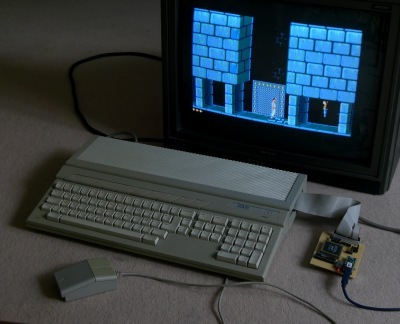 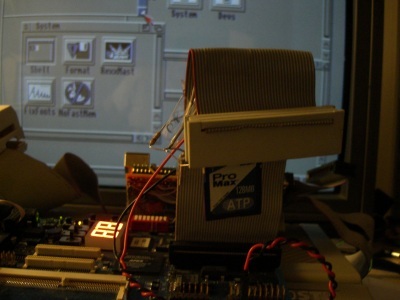 The USB HxC Floppy Emulator prototype on Atari STE running Prince Of Persia . 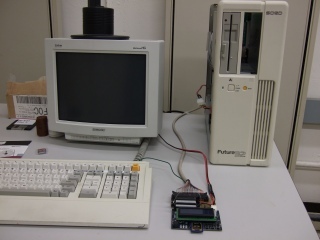 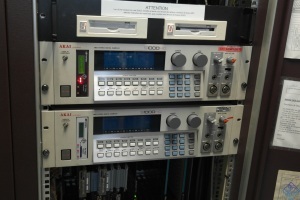 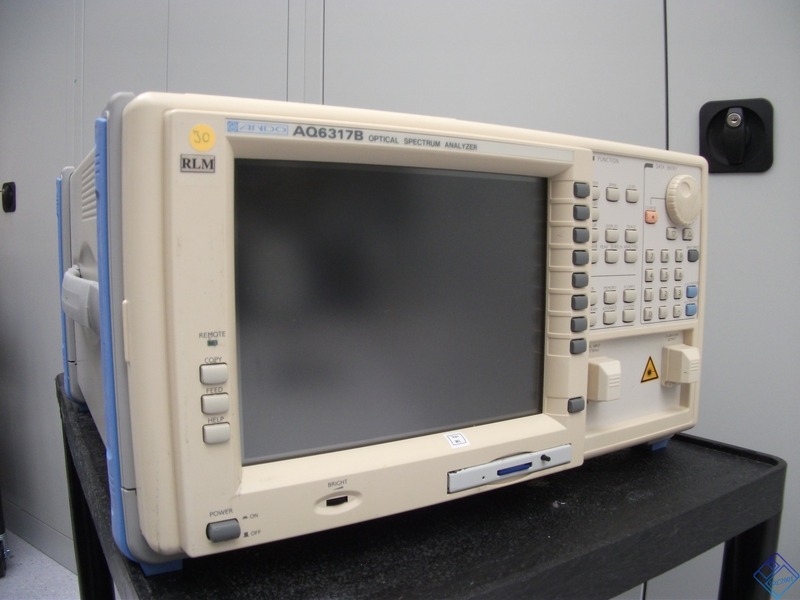 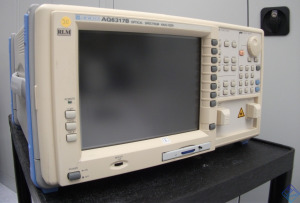 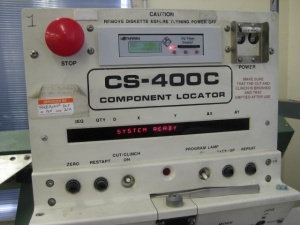 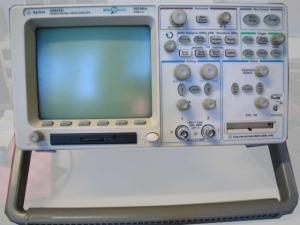 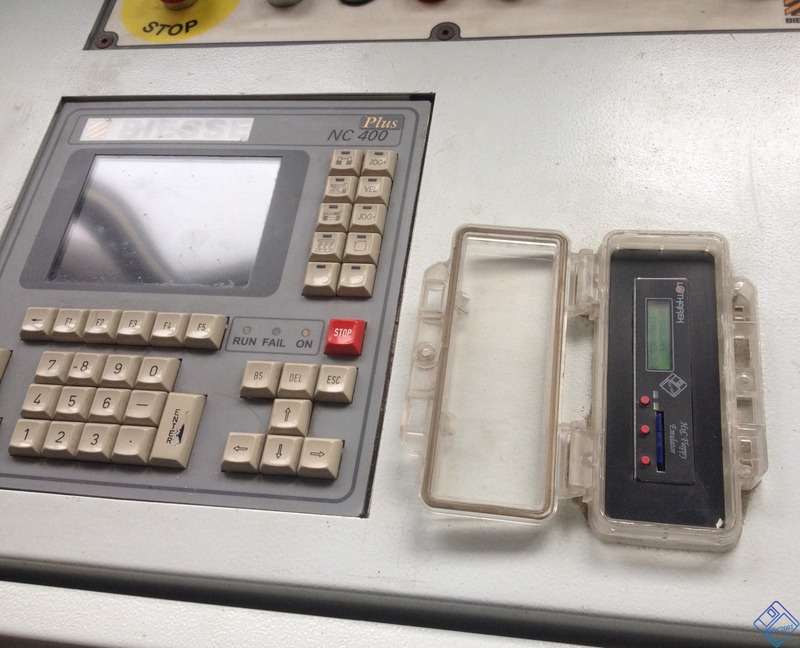 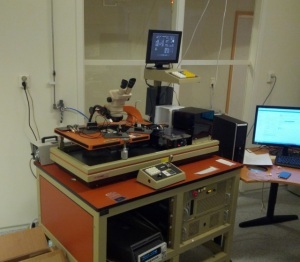 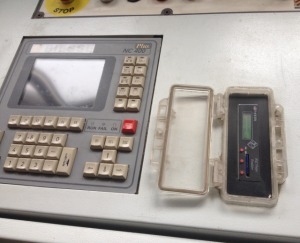 it was based on TTL logic only (no MCU or CPLD) and used the parallel port to get floppy data from the PC. 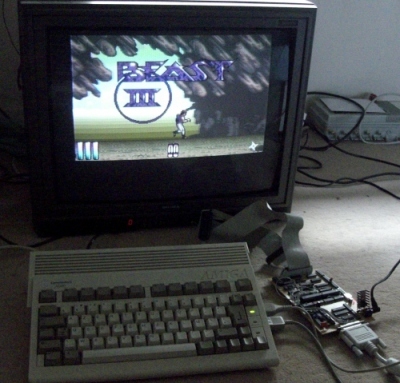 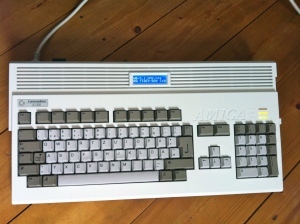 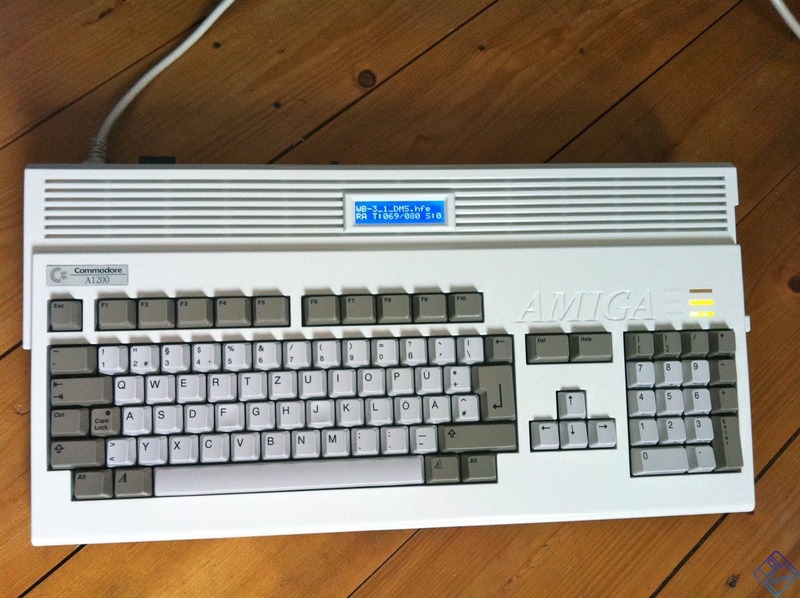 the very first prototype on Amiga 600 running Shadow on the Beast III . 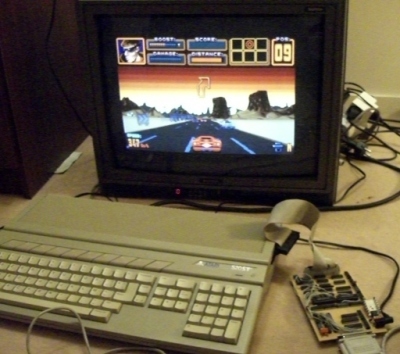 the very first prototype hooked to an Atari STE running Crazy Cars III . 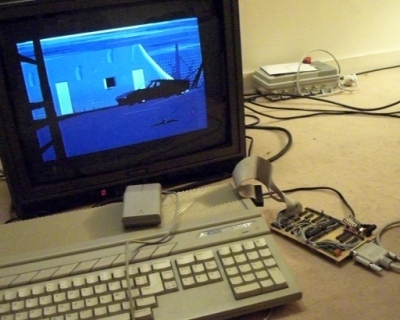 the very first prototype with an Atari STE running Another World .